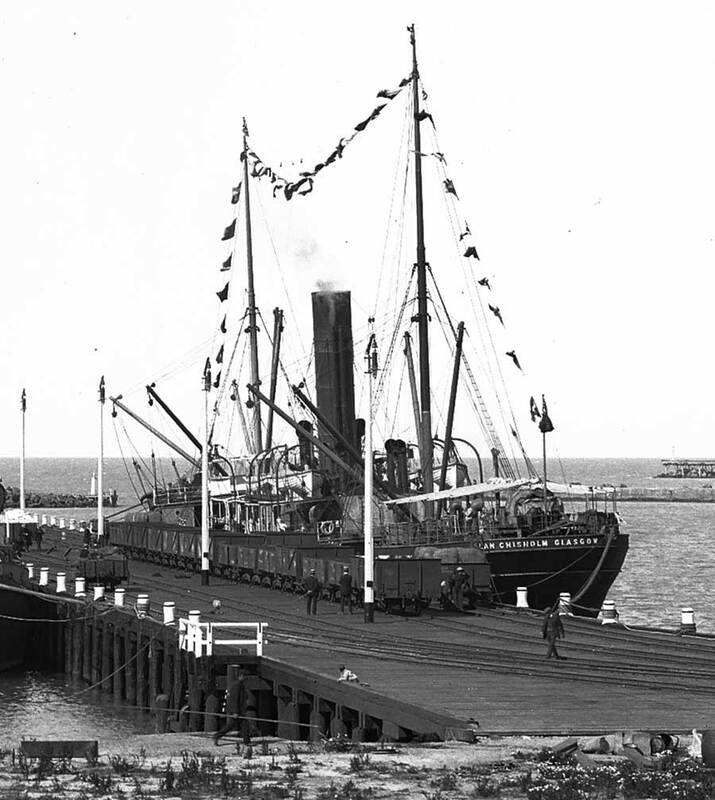 Photograph: Clan Chisholm (steamer on the right hand side of the jetty) docked at an unidentified wharf. Circa 1910 - 1930. Licensed from and used with the permission of the The Press (Christchurch) Collection, Alexander Turnbull Library, Wellington, New Zealand. During her lifetime in World War 1, she was on several occasions attacked by U-boats, but drove them off with gunfire. As a matter of fact, in November 1916 she almost sank U49. 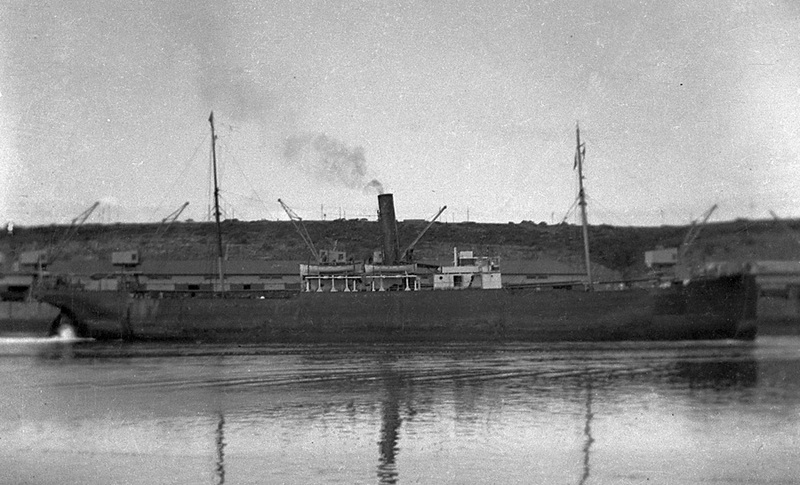 She then was on a voyage to South Africa with general cargo. In 1924 she was sold to Nippon Kaiun K.K. Yokohama, Japan and renamed FUKKO MARU. On 7 February 1926 she stranded at Katsuura near Tokyo and subsequently became a total loss. should appeal more to visitors”. The ‘Clan Chisholm’ was a steamer of 2,647 gross tons and was operated by the well known Scottish shipping firm ‘Clan Line’. 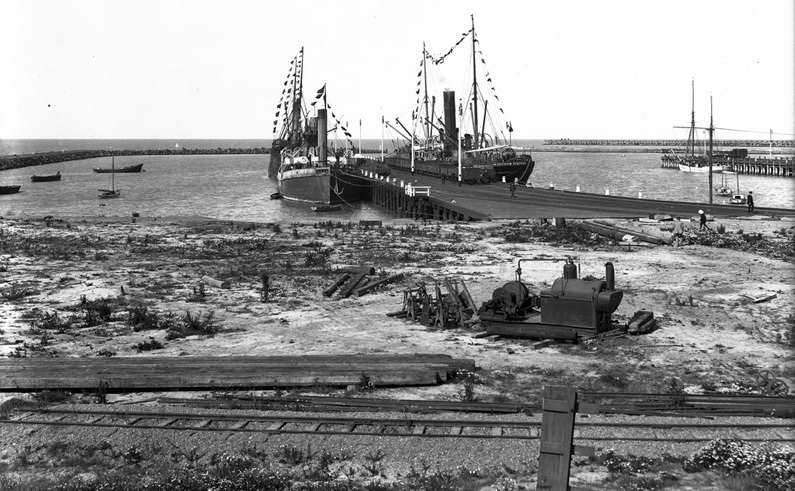 Her cargo was destined for the chemical works, which imported Guano as a fertilizer. The ship would have made an impressive sight at the port, so does any reader have an old picture or postcard of her? The funnel of the Clan Line (at left). For more information about Cayzer, Irvine & Co. Ltd, please see The Ships List. The photo, below, is an enlarged section --- showing the Clan Chisholm --- from the photo shown on the top of this page. The Clan Chissholm in East London. (Below) The water in the foreground is the Buffalo River. This photograph is from the collection of Iziko Museums of Cape Town, Iziko Maritime Centre, John H Marsh Maritime Research Centre, Union-Castle Building, V & A Waterfront, Cape Town, South Africa - www.rapidttp.co.za/museum - and is used with their kind permission.